www.braunability.com Ralph Braun started out in his global corporation in 1962, when he built a three-wheeled motorized handicap scooter in order to get around. Today the Braun Corporation is the world’s largest manufacturer of wheelchair accessible vans, ramps, and wheelchair lifts worldwide and enables people with physical disabilities to regain mobility and lead active and independent lives. BraunAbility is based in Indiana, and when Braun was diagnosed with spinal muscular atrophy at a young age and unable to walk by his teens, he was motivated to invent the world’s first electric scooter (the Tri-Wheeler) and wheelchair lift (the Lift-A-Way) in his cousin’s farm workshop. 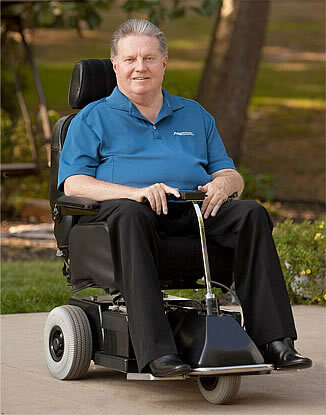 As his mobility increased, so he gained attention form the disabled community and demand for the product increased. What started out as a personal mission, and then a part-time enterprise, ultimately became The Braun Corporation. The Braun Corporation, via the BraunAbility brand, offers the most diverse model lineup in the industry, including the most popular minivan models from Dodge/Chrysler, Honda, and Toyota.